A company rich in tradition. The world’s first thermal fog generator, the swingfog®, was developed in 1947 and 1948. 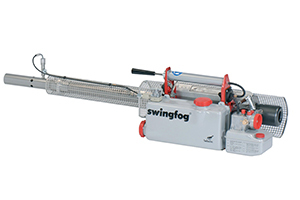 Since then, swingfog® devices have been very successfully used around the world. 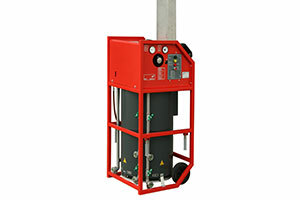 Other thermal fog generators from the US, Europe, Asia and Africa are based on the basic development of the swingfog®. 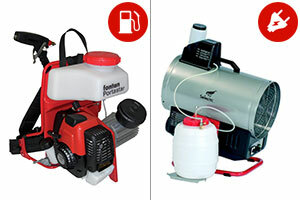 The next addition to our manufacturing programme were the fontan® ULV (Ultra Low Volume) cold fog aerosol applicators. Under the AquaMobil® range of products, we develop and produce mobile water flow heaters that are used by civil protection organizations and by the military for decontamination. Our range of devices is the result of expertise and experience, continuous development and the ongoing improvement of our products. Today, Swingtec stands for top level engineering combined with extensive application know-how. In other words: Technology and application from a single source. Keeping true to our tradition, the development, construction, assembly and quality control take place at our company’s site in southern Germany. We are certified according to DIN EN ISO 9001.